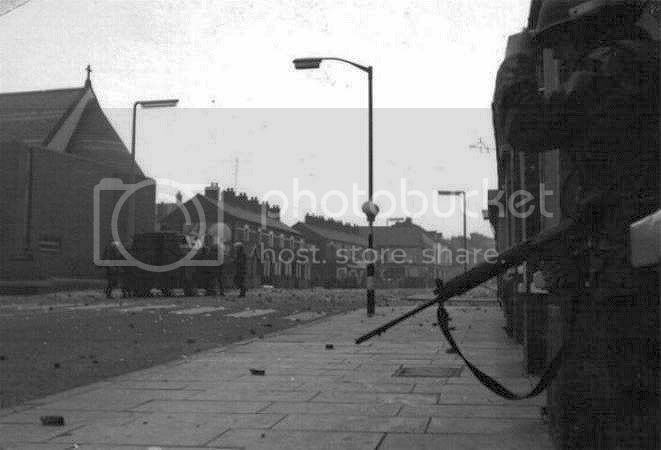 I was searching the net for photos of Belfast and found this one of the Oldpark Road. It was taken after a riot in 1971, the place looks a right mess. I posted the photo on the Bone thread (Belfast History board) last October. Anybody remember two brothers, Geordie and Andy who lived in Torrens Ave I think? Geordie used to run about in cowboy gear. He tried to look like Wild Bill Hickock. All Andy did was giggle. I think their name was Taggart jim bo, but I'm going back to the mid 70s. Could be the same people jim bo. I'm not really sure what Torrens it was. I said Ave, but I thought that's all there was. played the pipes with Derek, And my sister Sheila was Married to Ernie Orr. will know what we look like now. know their where abouts now.